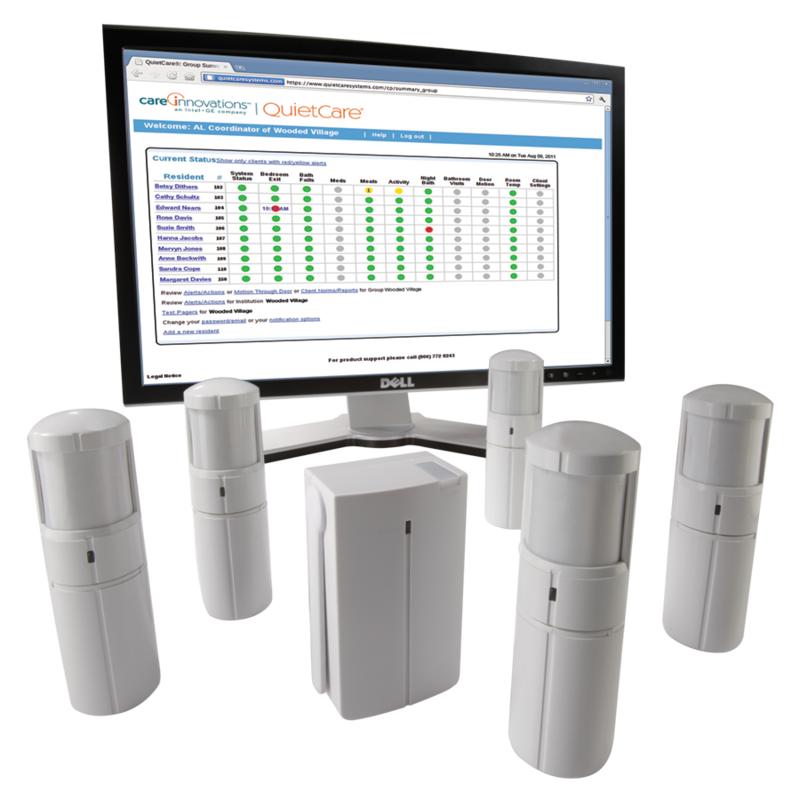 QuietCare® advanced smart sensor technology uses sophisticated motion sensor technology to collect and interpret billions of patient data points in near real-time, to provide the most accurate and up-to-date picture of resident care. By connecting smart sensors with passive monitoring and data analytics, QuietCare measures and interprets a resident's daily activity levels, and provides notification to family members or other designated caregivers when those patterns change. QuietCare provides vital information to caregivers, enabling them to be better informed and empowering them to intervene when needed. QuietCare's use of multiple sensors combined with robust data analysis enables improved response times and identification of potential problems before they become urgent situations. When integrated into a community's day-to-day operations, QuietCare information can increase responsiveness and help improve care.